Oh the things that grow in the dank earth, the things that thrive on rain and shadows and neglect. 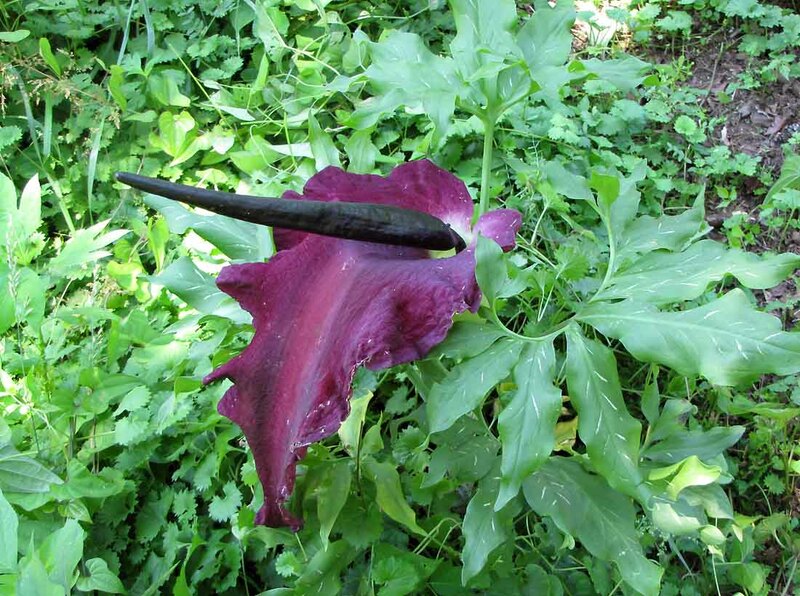 The Voodoo Lily, sometimes identified as S. venosum (although there are other species of Amorphophallus that are called Voodoo Lillies) seems like something you’d find growing at the Crossroads. 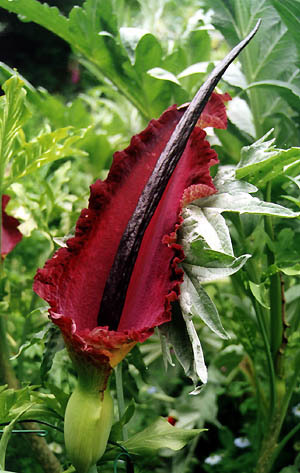 With a speckled, bloody red flower, and the foul smell of a corpse when in full-bloom, the Voodoo Lily certainly seems to belong to the world of swamps and curses and spells. 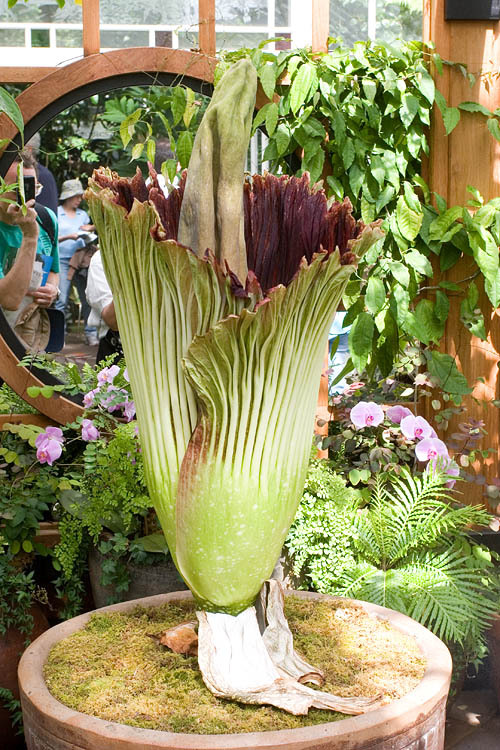 This zombie-scented flower’s disgusting aroma is used to attract flies and beetles as its pollinators. 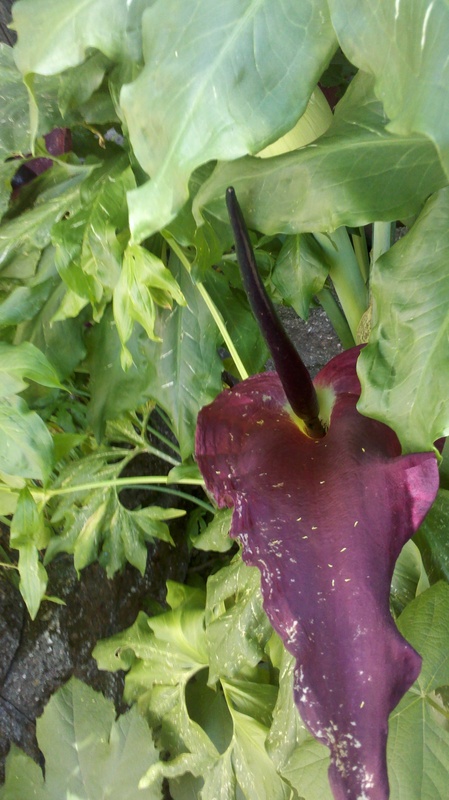 The Voodoo Lily’s flower forms similarly to the Black Calla and Vampire Lily, with a tall central spike, or spadix, surrounded by the spathe. 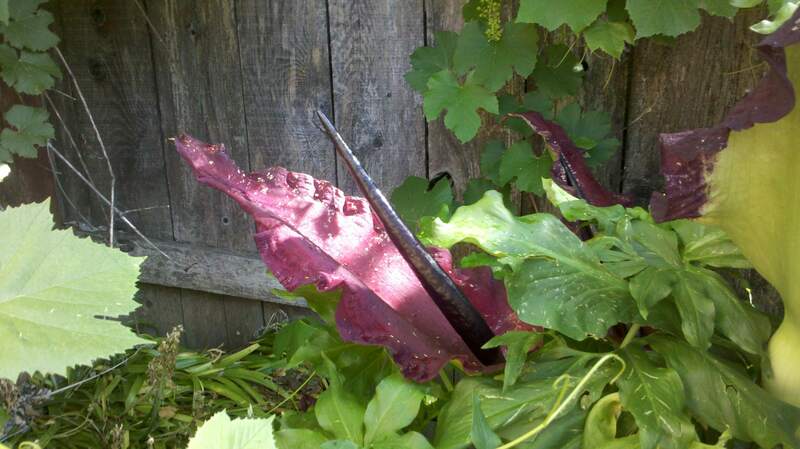 For the Voodoo Lily, the spadix is the richest of reds, and the spathe is a vibrant red spotted with deep burgundy. 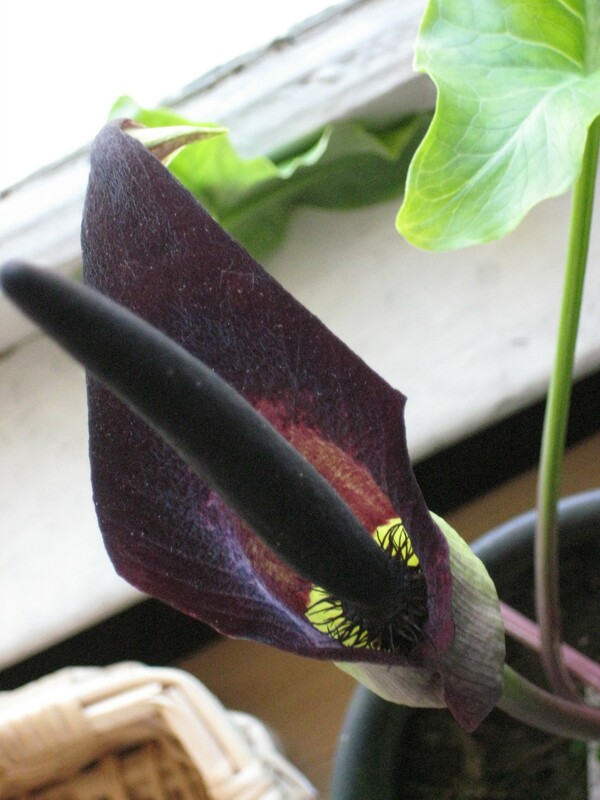 Especially enchanting even when not in bloom, the Voodoo Lily’s speckled leaf spikes appear after the single flower has come and gone, shooting up and branching out to look like miniature gothic tropical trees, green and smattered with blood red spots at the base. Bizarre, enchanting, and gorgeously ghastly! Prefers partial shade, regular water during growth period. 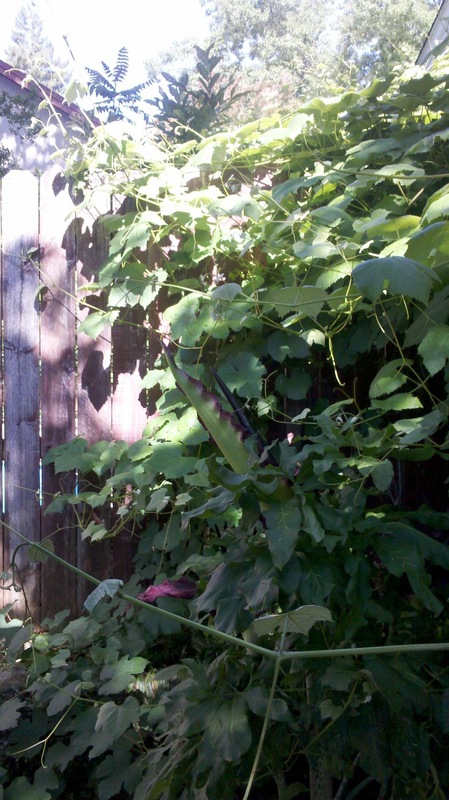 Stop watering after bloom for several weks. Allow to die back, then, if growing in pot leave pot out in the rain. Thrives on gloomy sweet rain. 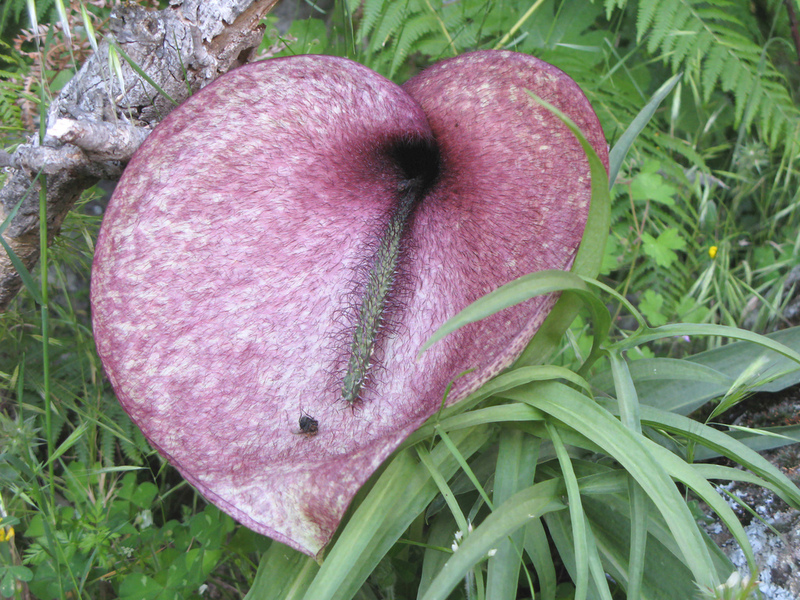 Native to tropical Africa and Asia. 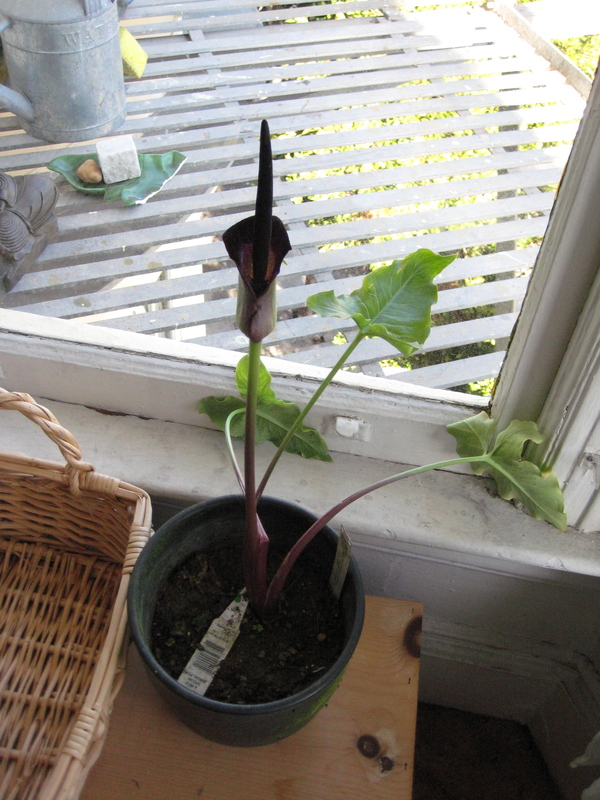 This is not my lily, but the same kind. I got this from http://www.ruralramblings.com. I hope they don't mind!